Dr. Krishna is Associate Dean and a Professor in Strategic Marketing at MICA. Armed with a Ph.D. from IIT Bombay, Dr. Krishna joined Mudra Institute of Communications, Ahmedabad in 2000 as an Associate Professor. He has been since held various teaching and institution building roles at MICA. He conceived and established MICAMINDS – a student led research and consultancy wing. He also chaired the committee which conceptualized and founded the Digital Marketing and Communication specialization at MICA. He has served variously as Area Head, Digital Communication Management; Dean, Research; Chair, Curriculum Committee; Head, Academic Affairs at the institute. He briefly served as Dean, FLAME School of Communication, from October 2014 to July, 2016. Prior to joining MICA, he worked at Drshti Strategic Research Pvt. Ltd., on various marketing research projects focusing on understanding the consumer psychology, connect between culture and consumption and transforming the understanding into a viable marketing strategy. His teaching interests are in the domain of Consumer Behavior and Marketing Research. In this domain he has not only taught courses like Consumer Behavior, Marketing Research, and Statistical Methods of Data Analysis but also introduced various cutting-edge courses like Consumer Insight Mining, Applied Areas in Marketing Research, and MR Project. 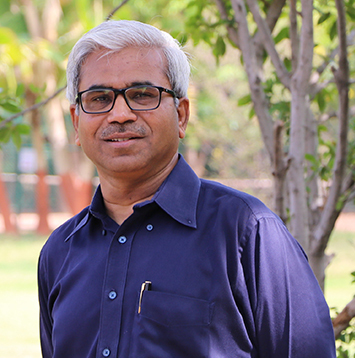 Prof. Krishna has published in various refereed journals and has also written a book on Consumer Behavior, which has been published by the Oxford University Press.